People suffering from broken, infected, or decayed teeth often need to undergo a root canal procedure. This is a procedure that involves the removal of the tooth’s nerves, and its subsequent replacement with an inert substitute. Are you in need of a root canal in Skokie, Illinois? 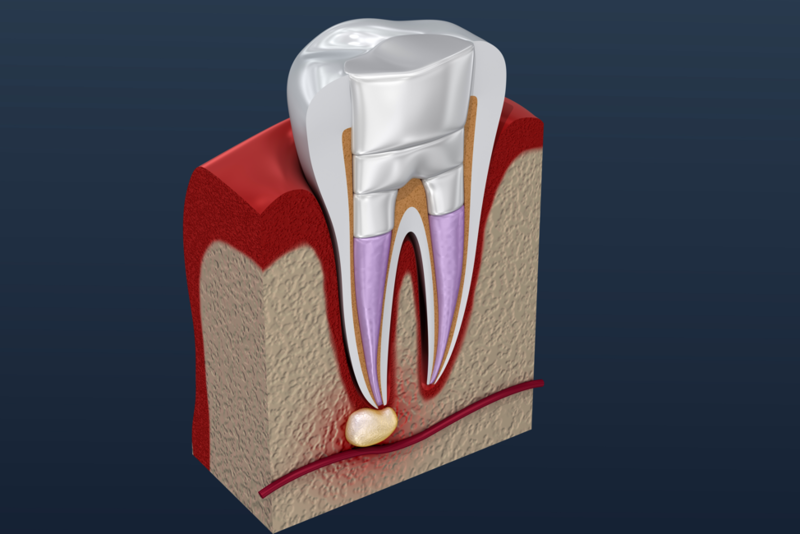 Curious as to what is involved in a root canal procedure? This blog post has all of the information you will need. A root canal procedure is a type of endodontic treatment that involves the removal and replacement of tooth pulp. During this procedure, the natural tooth pulp is replaced with a substance known as gutta-percha. The process begins with the administration of a local anesthetic. This will numb your mouth and prepare you for a comfortable procedure. Next, the root canal specialist will make a hole in your tooth to access the inside of the tooth’s roots, known as the pulp. If you already have a crown on the tooth, the specialist will go through your crown in order to access your tooth pulp. The pulp is removed from the roots, working until the roots are hollowed out. After the roots have been hollowed out, the gutta-percha will be inserted to replace the natural pulp that was removed. Next, a seal will be put over the tooth, holding the gutta-percha in place on a temporary basis. Once this treatment has been completed you will return to your dentist’s office to complete the restoration of the tooth. Sometimes the temporary seal will be replaced with a permanent filling. Other times you may need to have a crown made. Why are Root Canals Sometimes Necessary? Root canal procedures are sometimes necessary if the tooth has decay extending into the root of the tooth, there is a crack in the tooth, or there is an infection present. Tooth pulp can be compromised for a number of reasons, including poor brushing, infrequent flossing, a sugary diet, or direct physical trauma. Pulp is connected to several components of the tooth, including blood vessels, nerves, and connective tissue. If any of these areas experience a loss of functionality, the pulp will eventually decay. How Can You Tell if You Need a Root Canal? There are several signs that you might need a root canal procedure. These signs commonly includeswelling of the gums, and extreme tooth pain. On occasion, patients will recognize these signs on their own. However, in many cases, they will be informed at their scheduled dental appointments by their dentists. Experienced dentists are well versed at spotting such signs, and will know exactly when a root canal procedure is necessary. The recovery associated with a root canal procedure is minor. Once the pulp is removed, you will no longer feel pain in the tooth, but some people experience mild discomfort to the surrounding area. There are a few different things you can do to help relieve this discomfort. Your doctor will guide you through the proper pain management medicine to use. You will also want to avoid eating hard or crunchy foods while you have the temporary filling in place. We recommend eating soft foods, and chewing on the opposite side of your mouth.. When brushing, it’s important that you brush lightly using a toothbrush with soft bristles. Need a Dentist in the Skokie Area? Do you believe that you might require a root canal procedure? In need of a dentist in the Skokie area? If so, the dental professionals with Dental Innovations are the people to see. Lead by Dr. Thomas E. Murray, we seek to provide the most comfortable and inviting atmosphere possible for our patients and their families. Schedule an appointment with Dr. Murray by contacting us today!